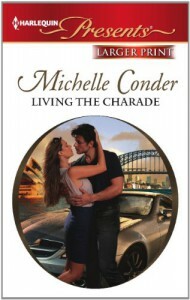 Rating: 4.5 StarsLiving the Charade by Michelle Conder is a fabulous read about a headstrong heroine who takes no prisoners and an equally alpha hero. Miller Jacobs is a strong and independent woman with ambitious career goals. She has worked hard and is on fast track to being made partner all she needs is to close the current deal at hand, while resisting the advances of her client which is easier said than done. Miller decides to solve this problem by finding herself a fake boyfriend for a weekend away with her boss and Client. In walks Valentino Ventura, maverick of the racing world an answer to her prayers NOT!Right from the Onset when Miller and Valentino spot each other across the bar the sparks fly and soon after the verbal sparring gets underway. Oh boy do these two ever rub each other the wrong way! Neither can resist the challenge from the other and before they know it they have talked themselves into a pretend weekend relationship and neither is ready to accept defeat and call the whole fiasco off. What starts out as a business arrangement for Miller and a weekend distraction for Valentino before his big race spirals out of control, making them both question their goals and evaluate what is really important to them if they truly want to give their relation a chance to survive. Michelle Conder has such a wonderful sense of humor and it reflected off Valentino. I couldn’t help but chuckle a few times as I read along. ‘Well I’d hate to be accused of insulting your masculinity Mr Ventura so by all means, take the wheel.’His slow smile told her that he’d heard her silent “shove it” and found it amusing. Found her amusing. And it made her blood boil.Hating that he’d thought he’d won that round she kept her voice professionally neutral. ‘As it turns out I don’t mind if you drive. It will give me a chance to work on the way down.’‘But you’re not impressed?’‘Not particularly.’‘What type does impress you?’He folded his arms across his torso and Miller’s brain zeroed in on the shifting muscles and tendons under tanned skin. What had he just asked?She cleared her throat. ‘The usual. Manners. Intellect. A sense of humour-‘‘You like your cars well-mannered and funny, Miss Jacobs. Interesting.’ Miller and Valentino were great characters; the passion and the chemistry between them was scorching hot! Only Michelle can turn a staid activity such as running on the beach into hot, hot foreplay… did I mention HOT? 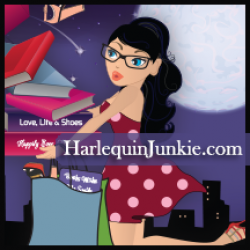 ;) Definitely a book worthy of a read.